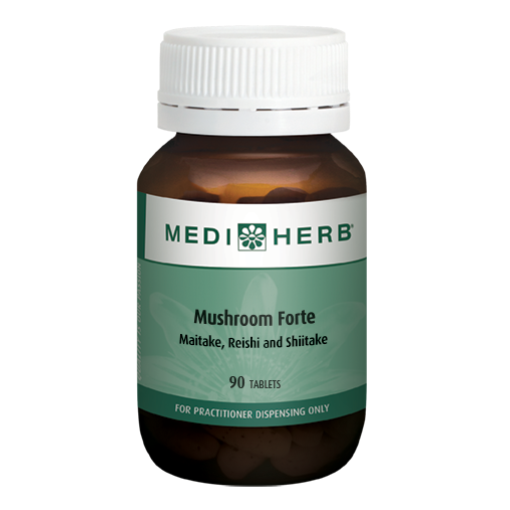 Mushroom Forte tablets contain a specific ratio of Maitake, Reishi and Shiitake mushrooms in a synergistic formula (patent pending). Made with fruiting body extracts for confidence in the level of mushroom beta-glucans. This new product is available in tablet form and liquid form, dependent on your herbal prescribing preference. Liquid dosing contains 3g reishi, 3g shitake and 2.5g maitake per 7.5ml dose, with dosage set at 7.5ml twice daily. Tablet dosing contains 1g reishi, 1 g shitake and 833mg maitake per tablet, with dosage set at 3-6 tablets daily. 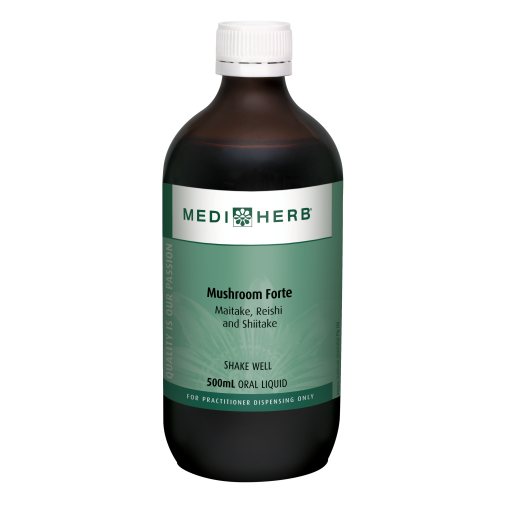 Note: 6 tablets is the equivalent of the maximum dose of the Mushroom Forte liquid (15ml). 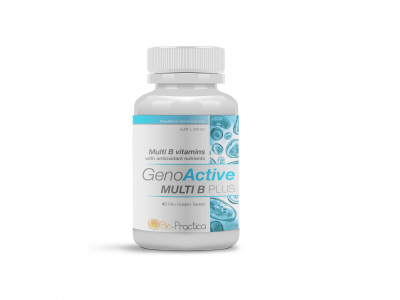 An innovative multi-nutrient formula providing biologically active B vitamins with key nutrients and antioxidants. Supports energy levels and general health & wellbeing. Provides key antioxidants, which help reduce free radical damage. Supports cognitive function and nervous system health. Supports a healthy stress response and assists the body to cope with environmental stress. Helps support absorption of specific dietary nutrients and maintain their levels in the body. Has been specifically formulated using evidence-based nutrients and traditionally used herbs to support healthy mood and emotional balance. High strength and bioavailable form of iron with essential co-factors, vitamins and the herb Rosa canina (Rosehips). May assist in the management of dietary iron deficiency. Contains an organic form of iron that is gentle on the stomach. Contains nutrients involved in energy production. Contains folinic acid, B2, B6 and B12 to assist red blood cells. Includes the antioxidant vitamin C, which aids in iron absorption. 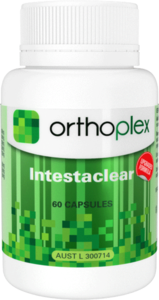 Orthoplex Intestaclear - New Formula! A unique formulation of black walnut, wormwood, barberry, garlic and essential oils of thyme, oregano and clove, that have each been tested to ensure they contain clinically-relevant levels of these active constituents. 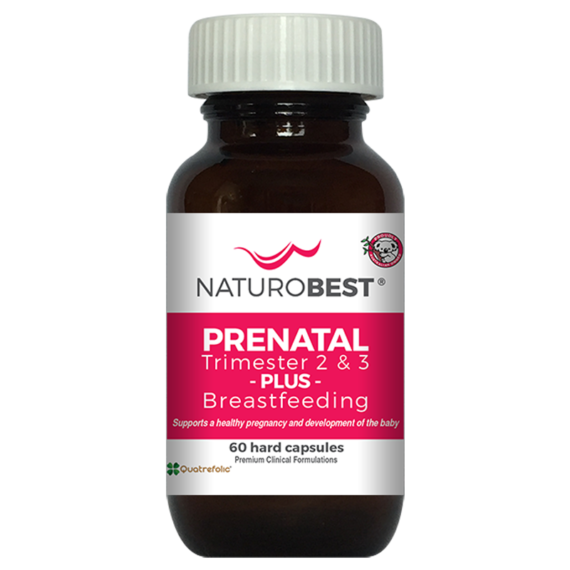 Australia’s first prenatal multi with Quatrefolic®, the 4th generation folate and folinic acid. Prenatal Trimester 2 & 3 Plus Breastfeeding also contains 24mg of elemental iron as Ferrochel® in a daily dose, highly bioavailable iron bisglycinate.